Below are over 22 remedies for migraine headache relief. Find out which migraine headache treatments work best for you and what causes them. They can be hereditary, and may be triggered by many factors; including stress, hormonal changes(around menopause, menstruation, and occasionally pregnancy), oral contraceptives, and foods that contain tyramine, an amino acid which affects the blood vessels. Foods rich in tyramine include bananas, cheese, regular high fat chocolate, eggs, oranges, spinach, tomatoes, and wine. Other triggers include changes or extremes in temperature, lighting, or noise levels. Below are some proven effective home remedies for migraine headach relief. Find the cure for migraine headache that works for you. Ginger: Add fresh ginger root to food, make ginger root tea, or try powdered ginger in capsules for migraine headache relief. 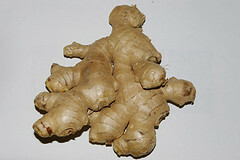 Ginger is a warming, stimulating herb especially good for circulation. FEVERFEW: A product that is considered one of the best migraine headache treatments. Take 2 or 3 small leaves between a little fresh bread daily to stave off attacks. Can also take capsules. (*See note at bottom of page..Not to be taken in pregnancy..avoid giving to small children..do not take if using blood-thinning drugs..and chewing the leaf can cause mouth ulcers in some people, if this occurs, use the capsules). JAMAICAN DOGWOOD: Apply a warm compress with Jamaican dogwood to temples and forehead during an attack. BASIL: Reports show basil oil good for migraine headache relief. 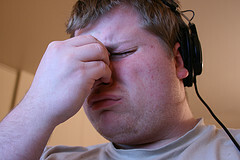 Vaporizer Blend for Migraines-Add 3 drops basil, 4 drops lavender oil, and 3 drops of peppermint oil to a vaporizer. Relax in a dark room and inhale deeply. 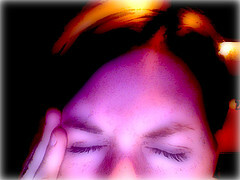 Peppermint or LAVENDER OILS: A good cure for a migraine headache. Lie down with a cool compress (Add 4-5 drops to a bowl of cool water. Soak a cotton cloth in the water. Wring out. ) on your forehead. MELISSA, ROSEMARY, or SWEET MARJORAM: Inhalations, baths, or massages can shorten the duration of attacks. NUTRI-CALM: Great for migraine headache relief. Loaded with B vitamins. Designed to support the nervous system, especially when under stress. During times of stress, the body rapidly loses B vitamins. Nutri-Calm provides generous amounts of these nutrients in a base of herbs known to support optimal nervous system health. 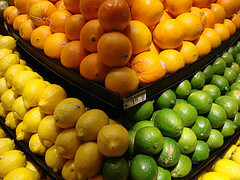 Vitamin C: Increase intake of vitamin C for migraine headache relief. VITAMIN E: Protects against free radicals, supports the circulatory and reproductive systems, as well as the liver, and maintains normal-range blood viscosity. EVENING PRIMROSE OIL: Studies have shown an increase in EVENING PRIMROSE OIL can decrease the frequency of migraine headaches. DARK CHOCOLATE: Studies have shown that including dark chocolate, which is full of healthy antioxidants, as part of your daily diet may actually lower the frequency of migraines. Antioxidants: Increasing antioxidants in your diet can give you migraine headache relief and also help prevent migraine headaches. Found in fresh fruits and vegetables. DON'T TAKE TOO MANY PAINKILLERS: Many of the over-the-counter anti-inflammatory drugs work well for some people, but overuse of these drugs will just cause more pain. It's like scratching a rash...the more you scratch the more it itches.